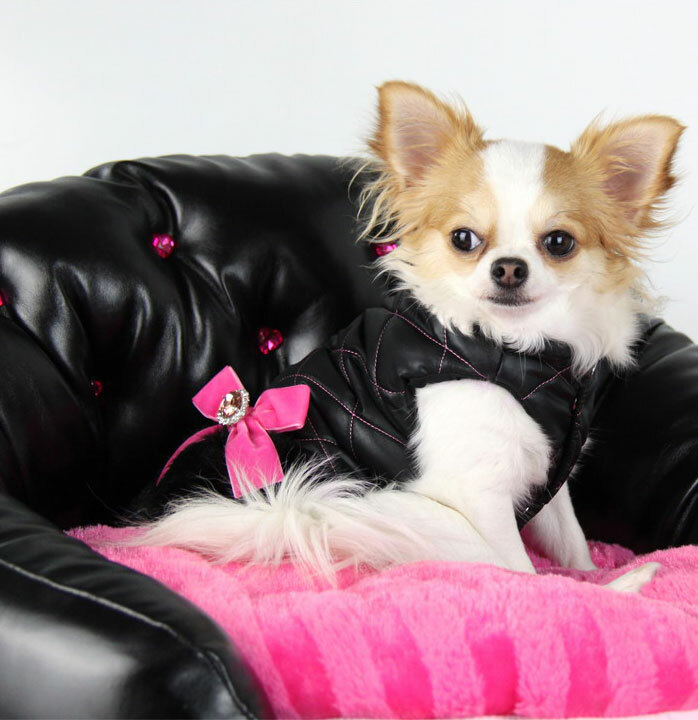 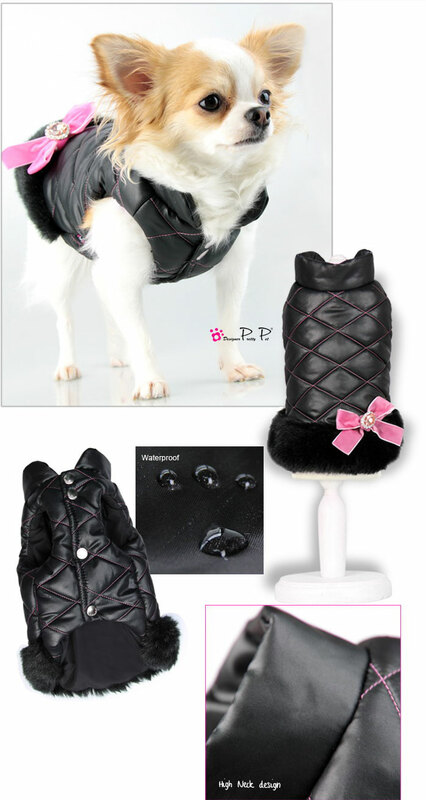 Made from 100% Nylon Filing with 100% Polyester Trimming this waterproof coat is a great way to keep your dog warm and dry without compromising on style. 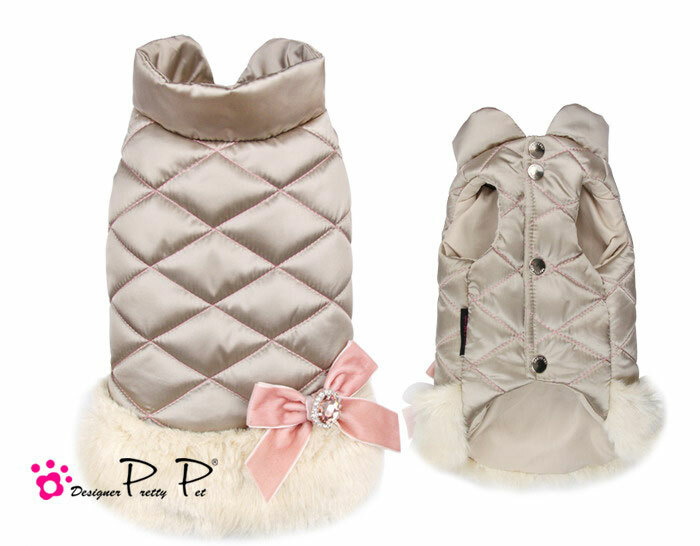 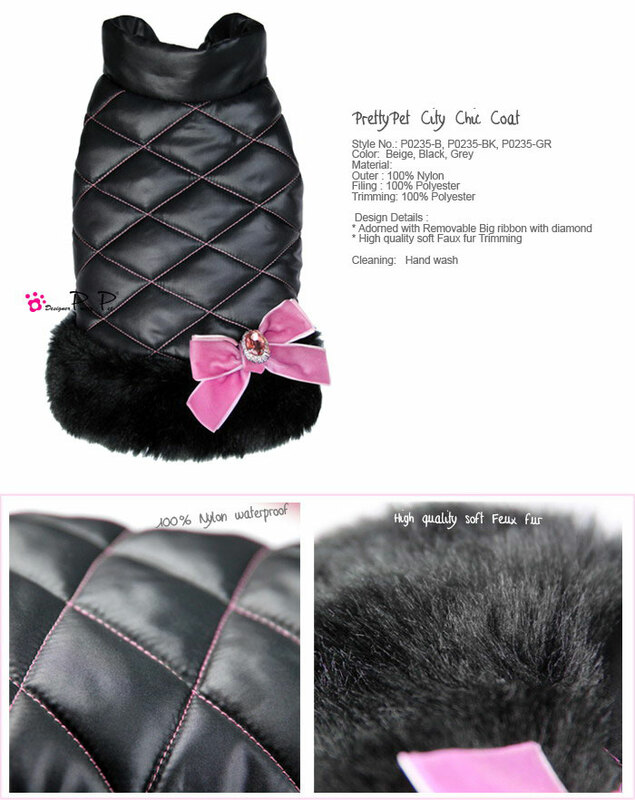 The diamond quilted design is easy to wear with no hood and a cute faux fur trim. 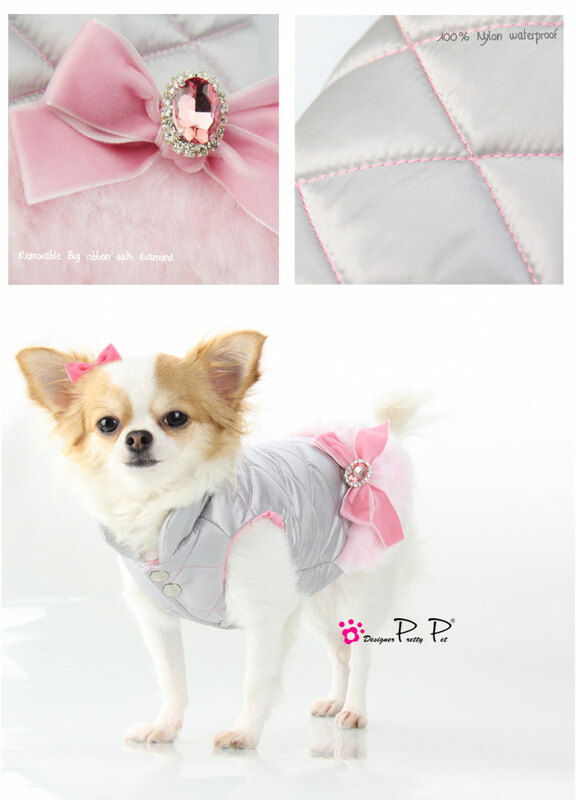 The cute velvet bow with the crystal centre is detachable. 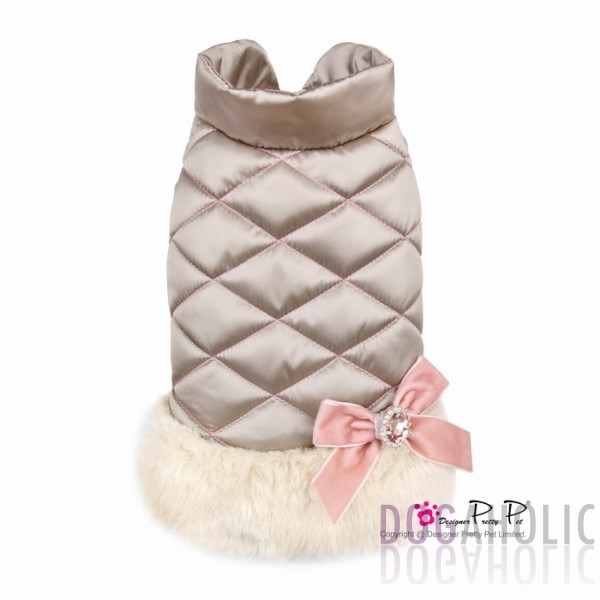 The coat fastens us the chest with poppers.